The Food and Drug Administration issued three draft guidance documents on Friday that answer providers' and pharmacists' burning questions about drug compounding standards. The proposed rules clarify the amount of drugs that providers can compound without a prescription, set requirements for health system compounding pharmacies and clarify how large-scale compounding sites known as “outsourcing facilities” may be set up. This follows two reports from the Pew Charitable Trusts that found compounding oversight is largely left up to the states and varies widely. Added in 1997, section 503A of the Food, Drug and Cosmetic Act allows pharmacists or physicians to compound a “limited quantity” of drugs to keep on hand in anticipation of an established patient's needs. Friday's guidance explains that providers will meet this requirement if they compound only what they think they would need for a typical 30-day period, based on patterns with actual patients. As long as the provider keeps within the 30-day supply limit, the FDA won't inquire whether the product was compound-based on the expectation that the compounder would receive a prescription from a specific patient or prescriber. Providers who want to keep more compounded drugs in stock not for specific patients can work with an outsourcing facility, the FDA said. Outsourcing facilities can compound drugs without a prescription if they register with the FDA, but they're subject to the agency's stricter standards, known as the current good manufacturing practices. FDA compounding regulations haven't historically distinguished between stand-alone pharmacies and health system pharmacies, even though hospitals in some states don't need a patient-specific prescription to compound drugs. The recent guidance explains that the FDA won't take action against a hospital pharmacy distributing compounded products if the drugs are distributed only to facilities owned and controlled by the entity or health system in which the pharmacy exists, pursuant to a patient-specific prescription or order, and that are within a one mile radius of the compounding pharmacy. The one-mile radius is meant to distinguish the dispensing of medicine within a hospital campus from a larger health system, the FDA said. A health system that wants to use a compounding pharmacy to distribute non-patient-specific compounded drugs to facilities across its service area will need to register as an outsourcing facility and follow stricter standards. Outsourcing facilities, which can handle non-patient-specific orders and are regulated by section 503B of the Food, Drug and Cosmetic Act, have asked the FDA whether they could set aside a different area or room of their facility for compounding patient-specific prescriptions under the less stringent 503A standards, despite using the same staff and equipment. The agency explained in Friday's guidance that it believes all activities that take place at a registered outsourcing facility at a single geographic location or address should be subject to 503B and the FDA's current good manufacturing practices. This is to ensure that consumers and providers know how their drugs were produced and to ensure that drugs produced under different standards aren't co-mingled. “It is in the best interest of the public health to be clear about the separation between 503A and 503B facilities to ensure that those obtaining the drugs will know the standards under which they were compounded,” the guidance says. Drugs produced under these different standards are otherwise indistinguishable. 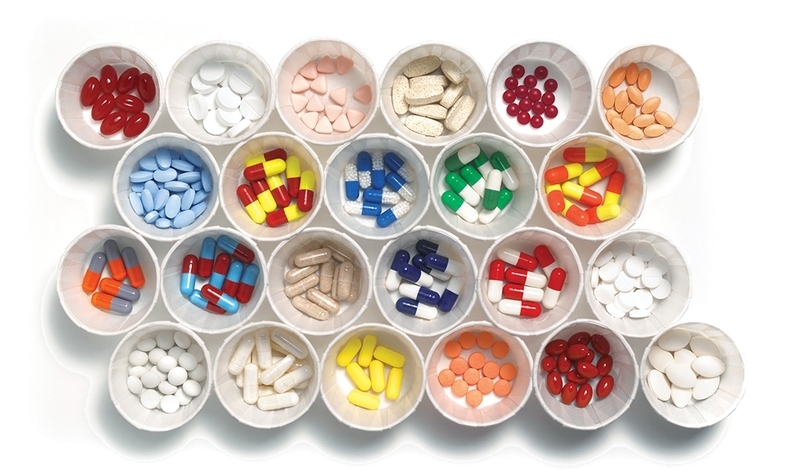 The same standards apply to conventional drugmakers that wish to operate an outsourcing facility for compounded drugs under the same roof as a facility that produces approved pharmaceutical products, with the exception of manufacturing regulations that are product-specific, such as environmental monitoring and pressure differential monitoring requirements. Conventional manufacturers who also compound drugs must label them as such. Elizabeth Jungman, director of public health at the Philadelphia-based Pew Charitable Trusts, lauded the agency for moving forward with compounding oversight. The guidance is open for public comment for the next 90 days.